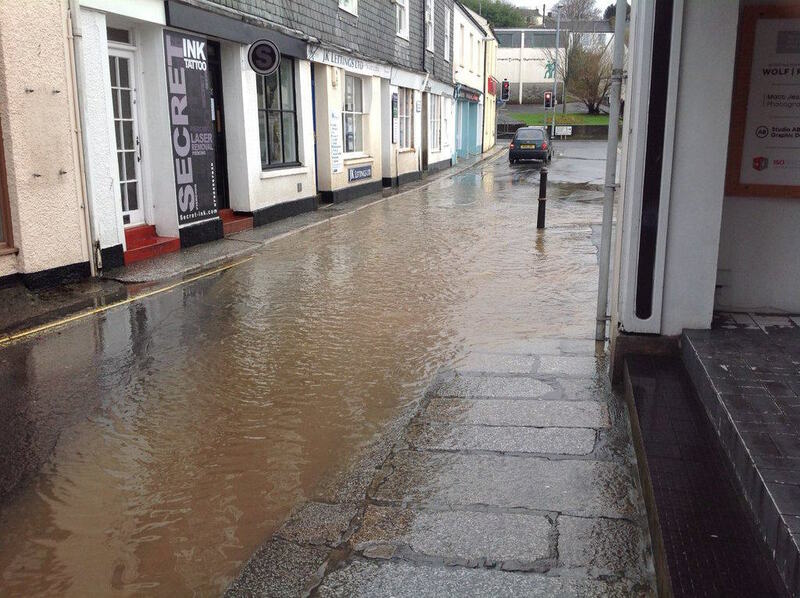 Climate Vision can now offer the Flood Risk Snapshot service at half price, due to match funding pledged by Truro Business Improvement District (BID) as part of it’s “best for business” project. This exciting new project will reduce the cost of this services to Truro business from £50 to just £25, making taking action to increase resilience easier and cheaper than ever. The aim of this initiative is to raise resilience within Truro’s Business community, with the business owner and demonstrate the risks faced by the business with a user friendly tour of online resources, which will be used to create a preliminary assessment of the risk posed to the business considering the effects of future climate change. Climate Vision can then agree a plan of action with the business owner, which they can use to reduce the risks faced by their business. Climate Vision’s services are also available to help enact this plan and reduce the risk faced by the business even further to improve business continuity, consider property protection measures or use the sign-posted resources online. Those who do not own their property should still consider the snapshot service, as this is about more than the mere bricks and mortar. Ensuring your business takes steps to become resilient to flooding can build business continuity and improve staff safety. Businesses which are shown to be at risk will be identified and then invited to take part, as well as those who may suffer inconvenience due to flooding in nearby areas, such as access problems. Businesses in Truro that may be at risk have been identified. All have the opportunity to obtain advice about the risk they may face match funded by Truro BID (Normally £50, being made available for £25 until July 2016). Look out for your invitation to sign up to this innovative scheme. Book your Flood Risk Snapshot with Climate Vision for a one to one opportunity with a climate scientist to discuss the potential risks your business may face and overcome the awkward hurdles presented by climate change.